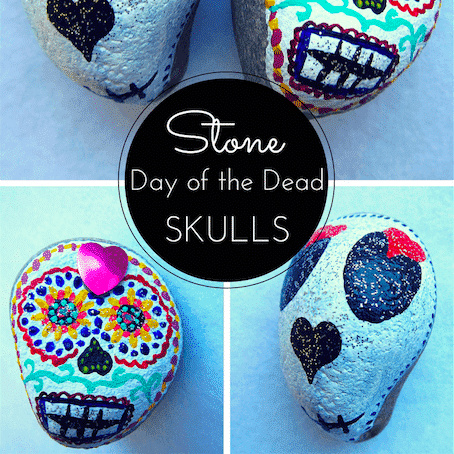 A round up of the best Day of the Dead crafts for kids, including balloon skulls, painted stones, paper marigolds, free printables & more! 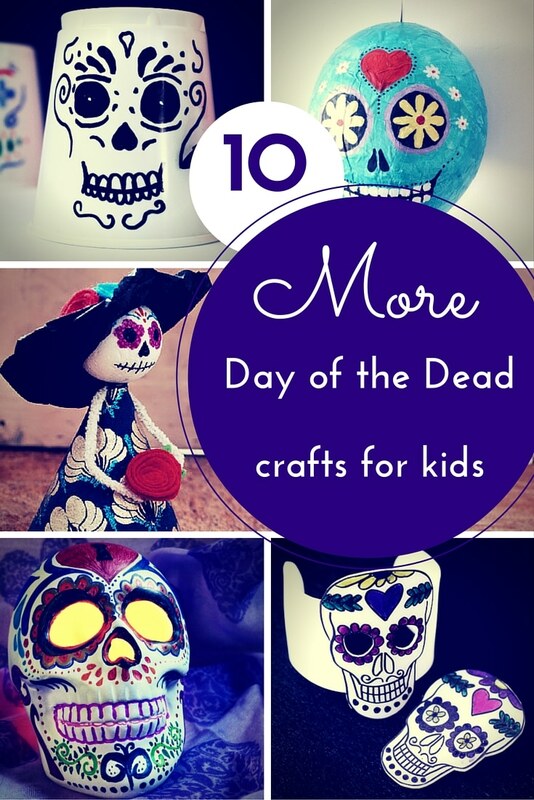 Day of the Dead crafts often involve skulls, marigolds and skeletons and are used to celebrate the Mexican hoiday ‘Dia de los muertos’, where the living celebrate their memories of the dead. Children learn about the cycle of life, friends and relatives who may have passed away before they were born. It needn’t be (and traditionally is not) a morbid festival. Rather, it is a festival for family and community. 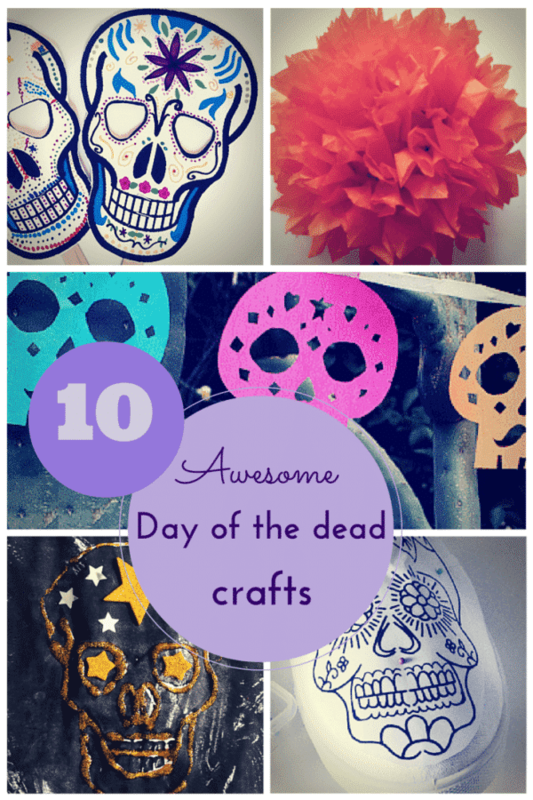 With this in mind, here are my favourite 10 Day of the Dead crafts. 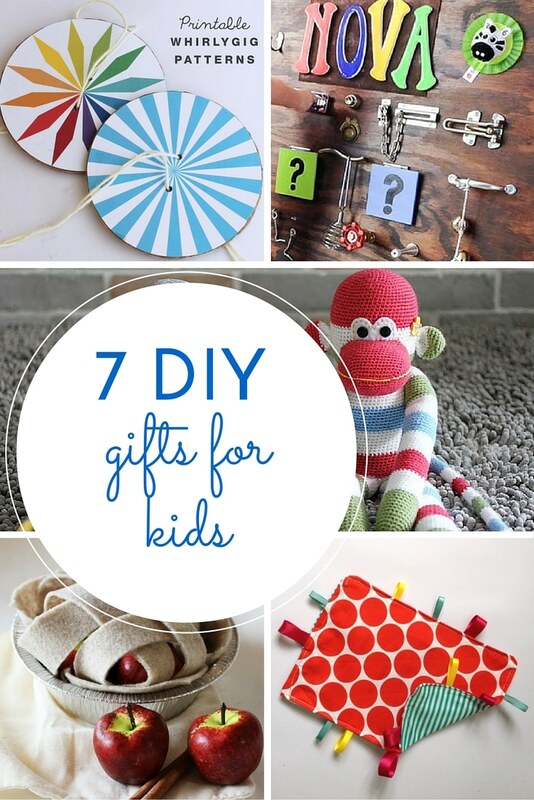 And if you’d like a chance to win one of 4 $500 prizes, scroll down to enter! 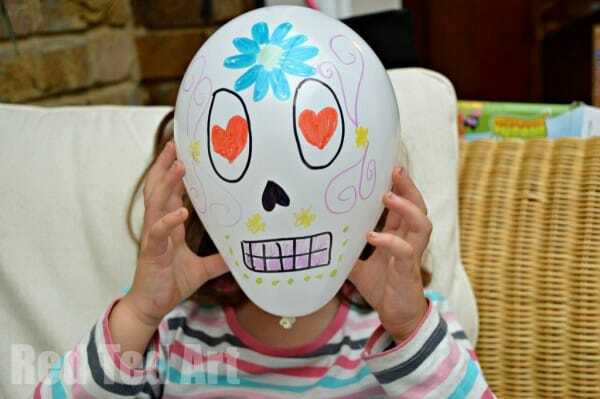 These fantastic decorated balloon skulls from Red Ted Art are so simple, yet so very pretty. 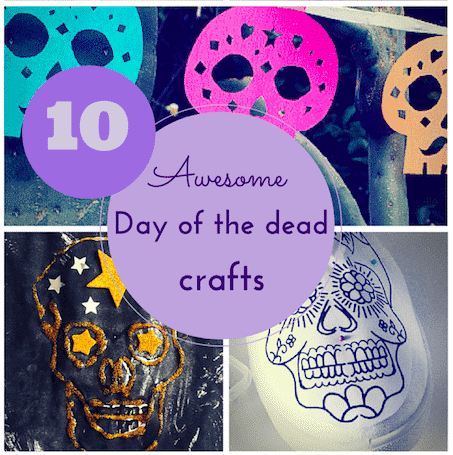 Click on the picture for more awesome Day of the Dead crafts from Red Ted Art. 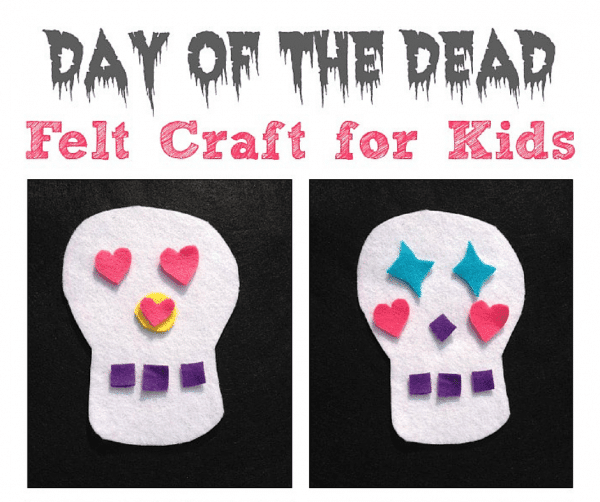 Crafts on Sea shares these cute DIY fuzzy felt skulls, which you can rearrange in endless combinations of hearts, stars and flowers! Marigolds (the ‘flower of the dead’) are often sprinkled on Mexican graves, as their sweet smell is believed to draw the deceased back to earth for the ‘dia de los muertos’. 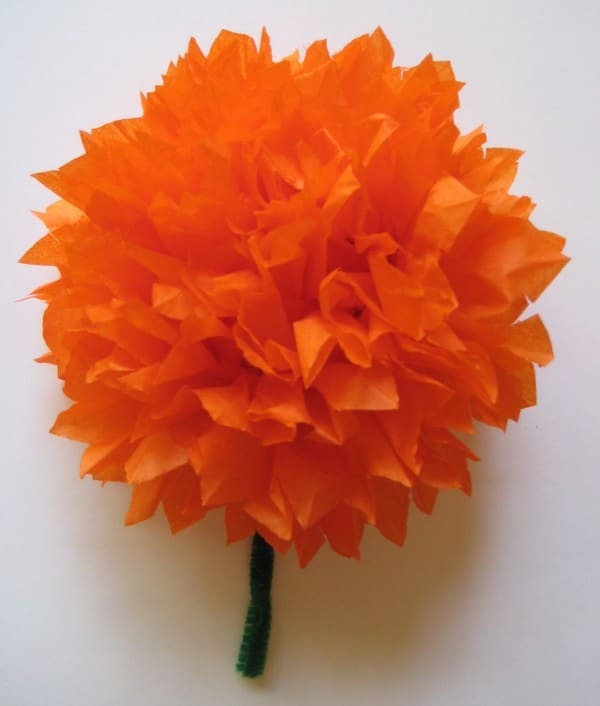 Teach Kids Art shows how to make tissue paper marigold flowers for Day of the Dead. I love the simplicity of this craft from The Gingerbrad House and that the styrofoam used is from a ready-made pizza – great recycling! 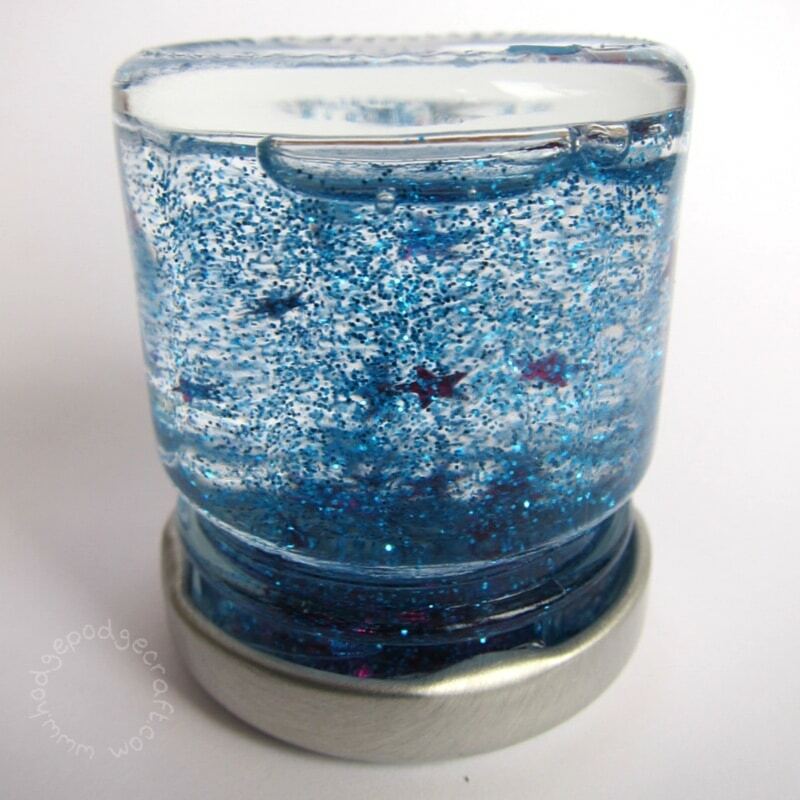 This 3D neon paint is perfect for making these ‘pop’! 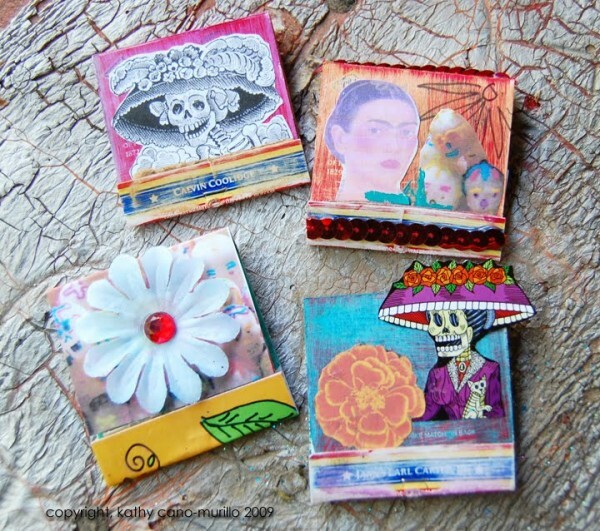 I adore teeny tiny crafts like these sweet matchbook shrines from Crafty Chica. 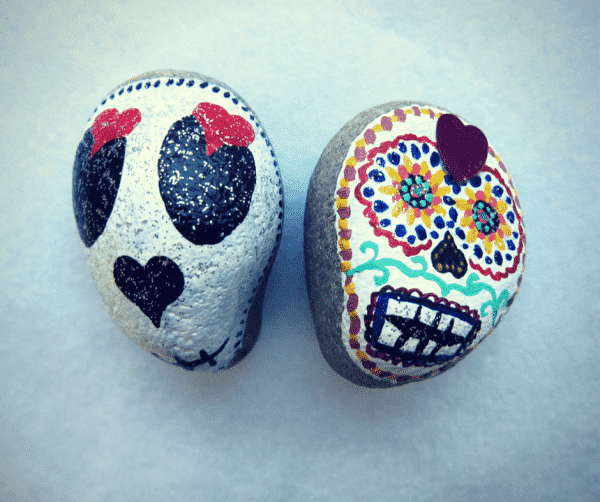 You could choose to decorate them with skeletons, hearts and marigolds, or use a shoebox, or matchbox to make a mini shrine, including a photo, to remember deceased friends or relatives. 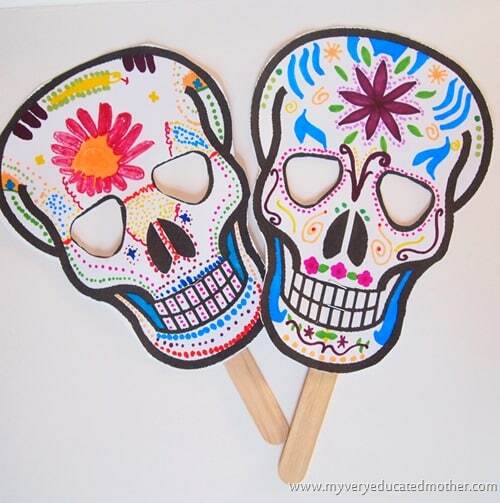 These fab free printable skulls for colouring from My Very Educated Mother can then be made into fun stick masks – perfect for a Day of the Dead celebration! 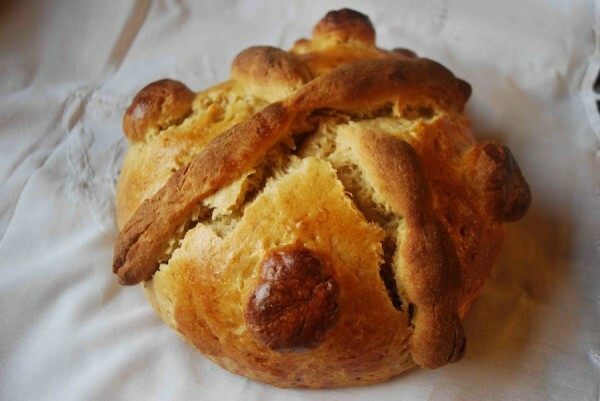 If you thought Day of the Dead crafts were all skulls and skeletons, think again… Kid World Citizen shares this delicious sounding recipe for ‘pan de muerto’, which uses orange blossom water and is shaped into a ball with ‘bones’ on top. 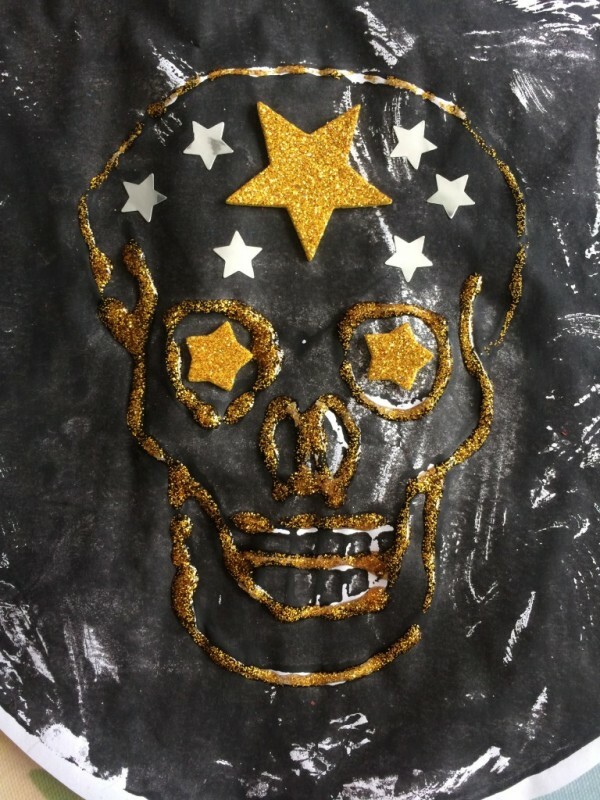 I enjoyed painting some cute rock skulls this year and added some sparkle with glitter and sequins to give to my boys as gifts. 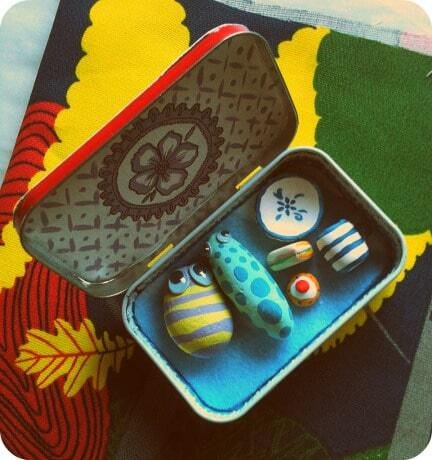 I absolutely love these from Dream a Little Bigger. 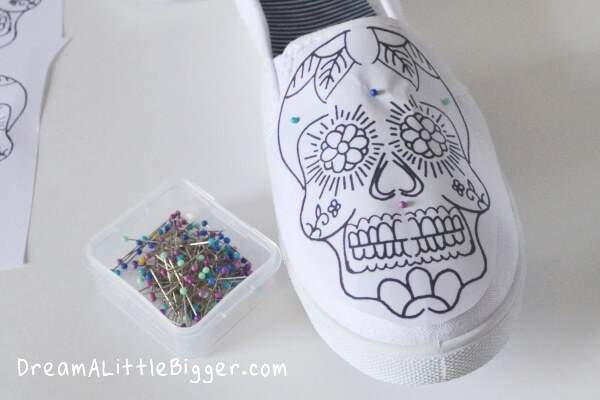 You could even use glitter puffy paint and sew on beads or sequins to make them extra bling! 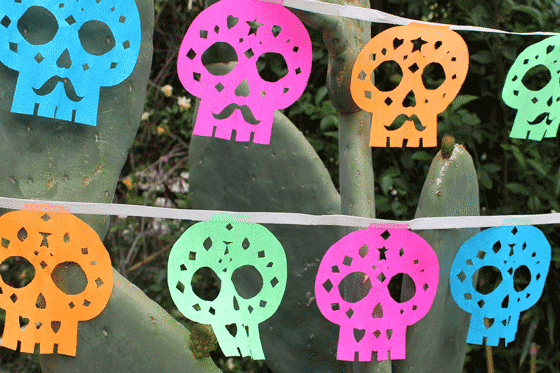 These ‘papel picado’ (traditional paper garland decorations) are made using brightly coloured crepe paper and can be made quickly and easily using Happy Thought’s free printable template. While you’re here, why not enter the Kid Blogger Network’s mega cash giveaway for a chance to win $500! 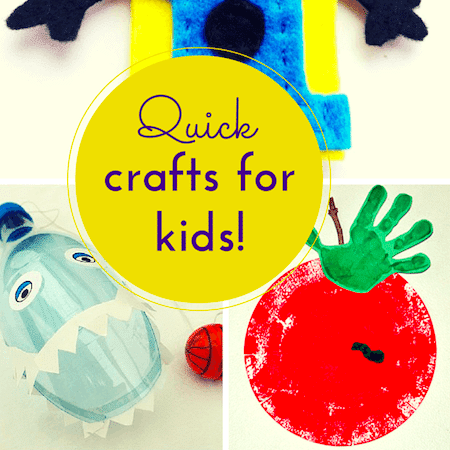 Don’t forget to have a look at the other awesome Halloween posts that have linked up below. I love the shoes too – they’re SO cool aren’t they?